A chiropractic adjustment is the primary chiropractic treatment method. The chiropractic adjustment relieves pressure on joints, reduces inflammation, and improves nerve function. It has been a trusted form of treatment since the ancient Greek Hippocrates documented manipulative techniques in his writings back in 1500 B.C. Today, spinal adjustemenst are used to treat conditions such as allergies, menstrual cramps and headaches. 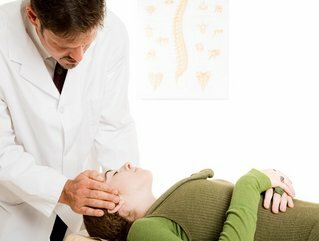 How The Chiropractic Adjustment Works? When vertebrae shift out of place, there is an overall systemic response from the muscular system to the central nervous system. Without proper alignment and flow, our nerves, our immune system, and our minds cannot function at their highest potential. Overall, spinal adjustments are an excellent way to keep the body functioning at its highest level without any discomfort. When the body is adequately aligned, it becomes able to respond and perform as it was built to perform.